Weight Watchers, Paleo, Atkins, low-fat, low-calorie, clean eating, Intermittent Fasting, high protein, sugar-free, gluten-free, vegetarian, counting macros, etc… There are so many different diets that it can be confusing as to which one to pick! People will start one diet, excited because they finally found “the right one” but something comes up and they fall off the wagon of their diet plan… What happened? Did they lack willpower? Motivation? Maybe it was a birthday and they ate a piece of cake, which seemed to cause a downward spiral of sugar cravings… Maybe their schedule became too busy and they didn’t make it to the grocery store… But maybe… It didn’t work because it wasn’t something they could commit to for a lifetime. How do you know which diet to pick? 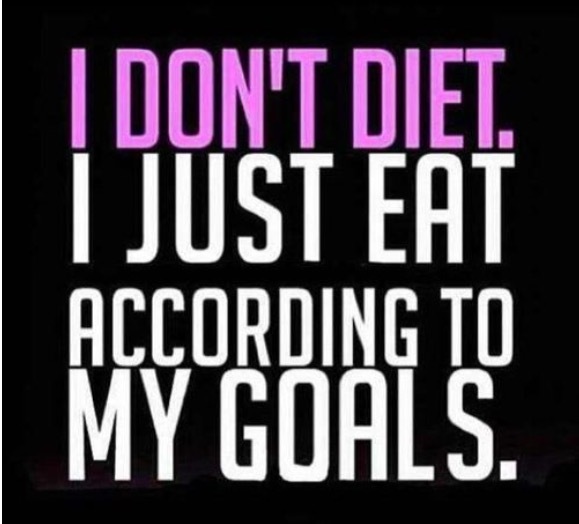 Most people know by now that any diet will work if you follow it, but the key is sticking with it. If it’s not realistic, it will not last, and any weight that was lost will quickly come back. When starting a new diet, ask yourself “Is this something I can stick with long term?” Do you end up binging on certain foods when you feel deprived? Will the eating plan fit into your current food budget? Will you be doing the plan by yourself or with the rest of your family? How much time do you have to prepare the meals on the plan? Make a list of diets that you have tried in the past. What worked? What didn’t? Are there any foods that you refuse to give up? Was it realistic for your lifestyle? I have tried *many* different diets in the past. In fact, I consider myself kind of an expert at many of the different diet plans and can list the “rules” and what the diet contains. I have discovered that the best way for my body to be fueled is to eat a protein source at each meal. It helps me feel satisfied, keeps le full till the next meal, and helps repair my body after my workouts. I am such a “carb lover” that getting enough protein into my diet isn’t always easy. I try to have 40% of my total calories for the day come from protein. Some of my protein staples are protein shakes, Quest bars (I will be sharing a review on these protein bars later), Greek yogurt, eggs, cottage cheese, cheese sticks, and lean meats. I have to make a conscience effort to keep enough protein in my diet. I use the myfitnesspal app (free phone app, but you can also use it on a computer) to track my food, and it also shows a pie chart graph of macronutrients so that I can easily see if I met my goal or not. If you prefer not to track calories, you can measure the amount of protein by the palm of your hand. A serving of chicken is approximately the same size as the palm of your hand. A normal carbohydrate serving is about the size of your fist. I will be sharing more information on healthy meal planning, calorie requirements, and other helpful nutritional information very soon!